I'd just like share with you some shots of my latest build that I've just finished. 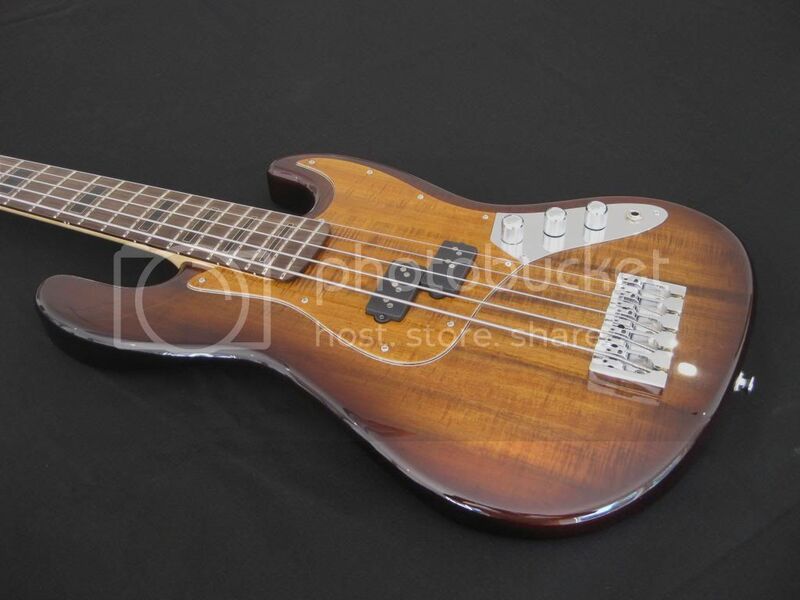 It's a 5 string J style bass with many extras. Body: Alder featuring a highly figured blackwood veneer on top. Neck: Maple with a rosewood fretboard, 34.5" scale (to accommodate a B string, but is currently set up as E-C as per Matt Garrison). Fretboard radius 16". Ebony and maple block inlays. Medium profile shaping on the back of the neck. 3+2 headstock configuration. Finish: Tobacco burst in gloss nitro. Satin nitro on the neck. Pickguard: Hand made 4 layered veneer topped with matching blackwood finished in nitro. example of the process. 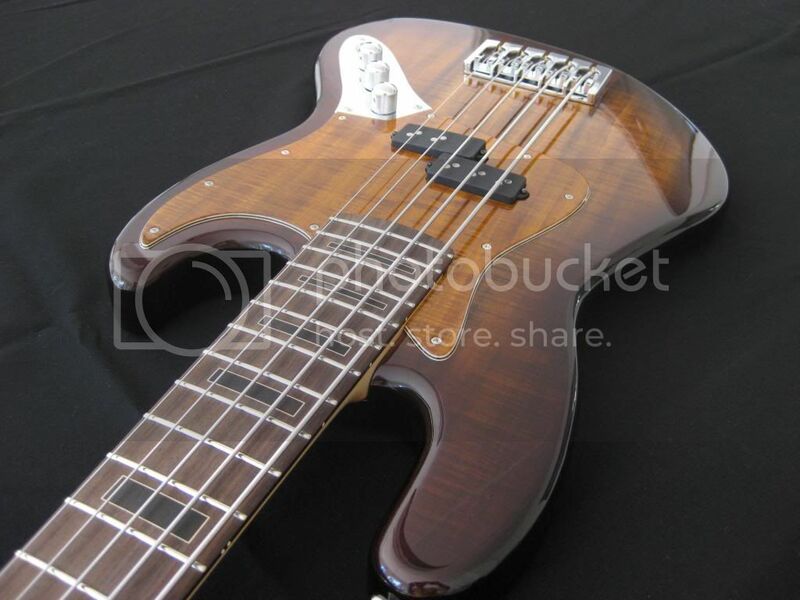 I'm happy to say that the bass plays beautifully with its low action and sound great with the Nordstrand gear. Wow that looks amazing, I would be scared to touch it. Beautiful! I had a play of a bass you made for Peter Lamburd recently... Beautiful work! That's awesome. Don't suppose you could post some sound clips? Daniel Kinnaird wrote: Beautiful! 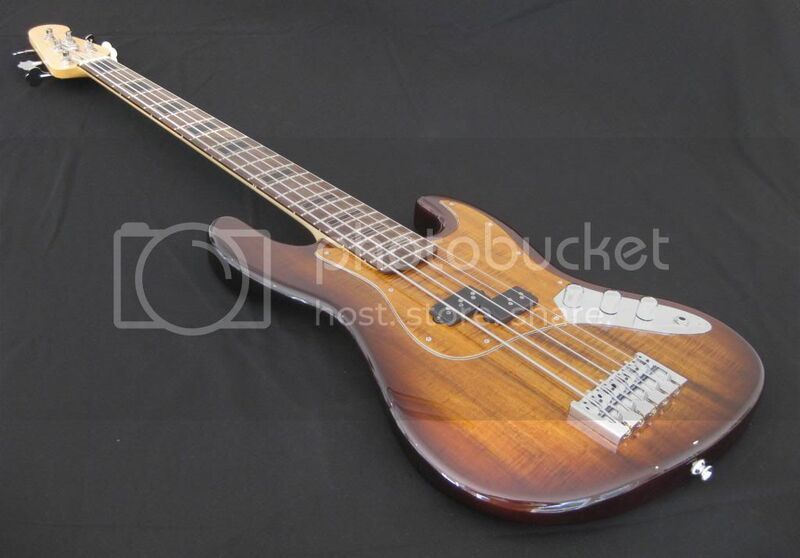 I had a play of a bass you made for Peter Lamburd recently... Beautiful work! 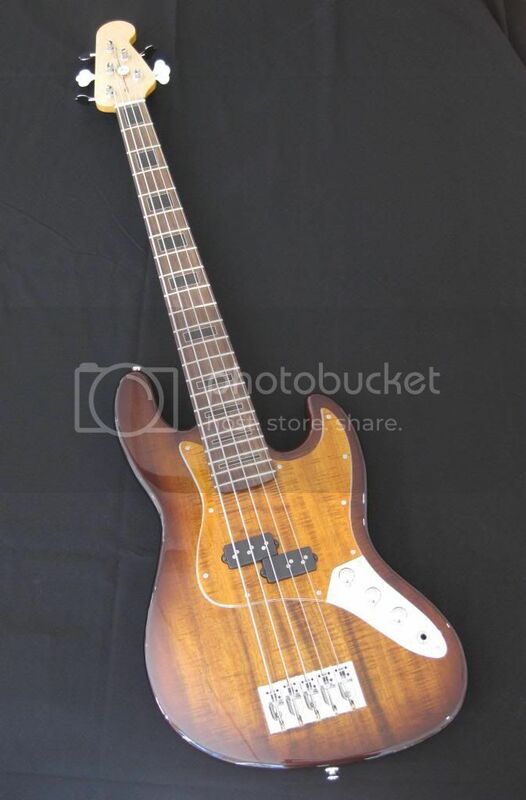 If that's the 6 string jazz, that bass is a piece of art. I'll see if I can get a reasonable sound clip of it, but to describe it's sound it realy is firmly in the P bass mode. The nordstrand pickup is beautiful, big and articulate and the preamp (nordstrand 2 band) doesn't add a great deal of db to the mix rather it seems to tighten up the sound and offer greater control over the tone settings. It boils down to being difficult to get a bad sound out of it. 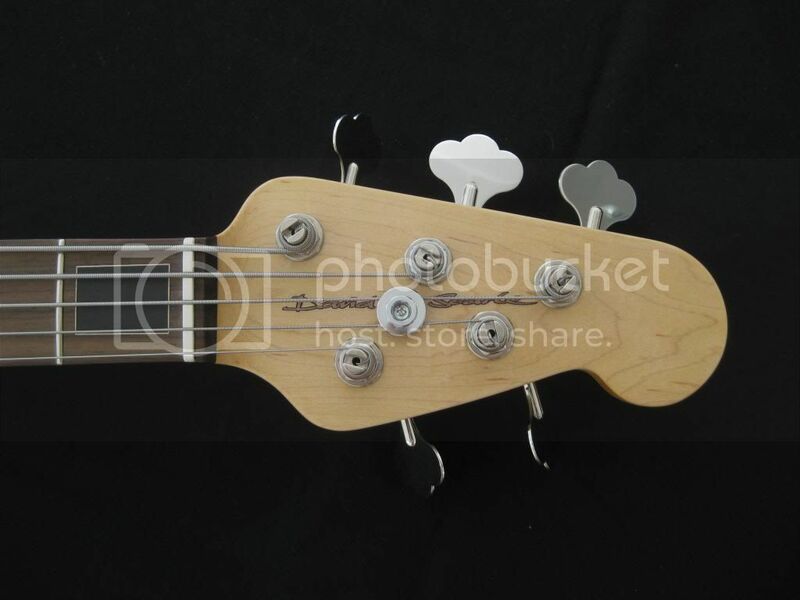 Oh, and it has a passive mode that is pure P bass. 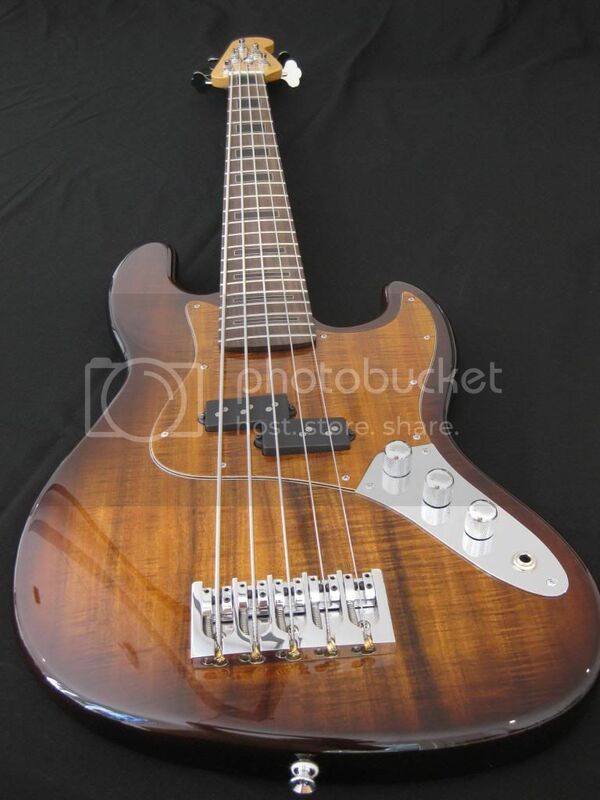 I did think about having a second pickup on it but after helping some of the students at NMIT finish off their P style basses (usually with Dimarzio pickups) I've realy become fond of the P bass sound. That massive thump and wonderful sound when played slightly muted. As for it's playability its very similar to Peter's red 6 string Jazz that i made last year. Those ebony/maple inlays look great! As does the whole bass.